If you need notaries services and you’re in the Los Angeles area, I’m available. Its just $10 dollars a page. I am certified through June. I am renewing in early May for the NEXT four years. I am a member of the National Notary Association and I am Bonded and Insured. You can contact me at TheSuperOrganizer.com. 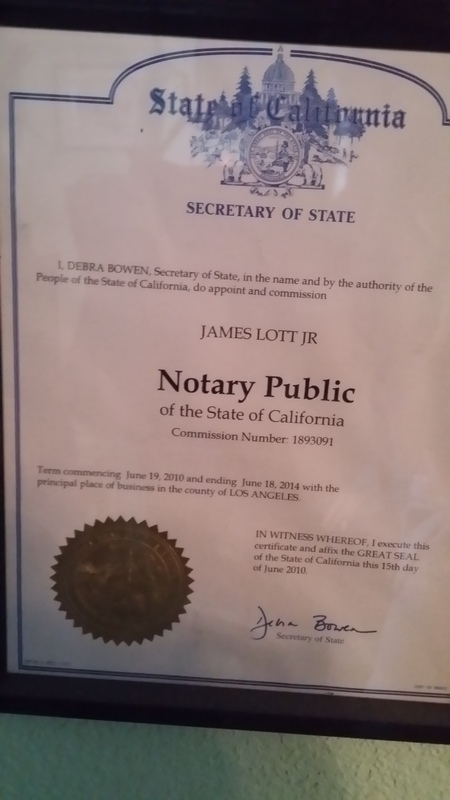 Need something Notarized and you’re in the Los Angeles Area? Look no further, The Super Organizer can do it for you! A notary public (or notary or public notary) in the common law world is a public officer constituted by law to serve the public in non-contentious matters usually concerned with estates, deeds, powers-of-attorney, and foreign and international business. A notary’s main functions are to administer oaths and affirmations, take affidavits and statutory declarations, witness and authenticate the execution of certain classes of documents. You can contact me here or go to thesuperorganizer.com.